Each year Lindley Park residents line West Market Street Park with over 1,000 luminaries. The lights illuminate the night… and by morning are gone. Volunteers gather at the Lindley Recreation Center at 4:00PM the first Saturday in December to fill bags with sand and candles. Several crews of adults and children then place the luminaries on the streets bordering the park, including S Lindell, Willowbrook, Park Terrace, the west side of Spring Garden Street, and the east side of Walker Avenue (from S Lindell to Ashland). 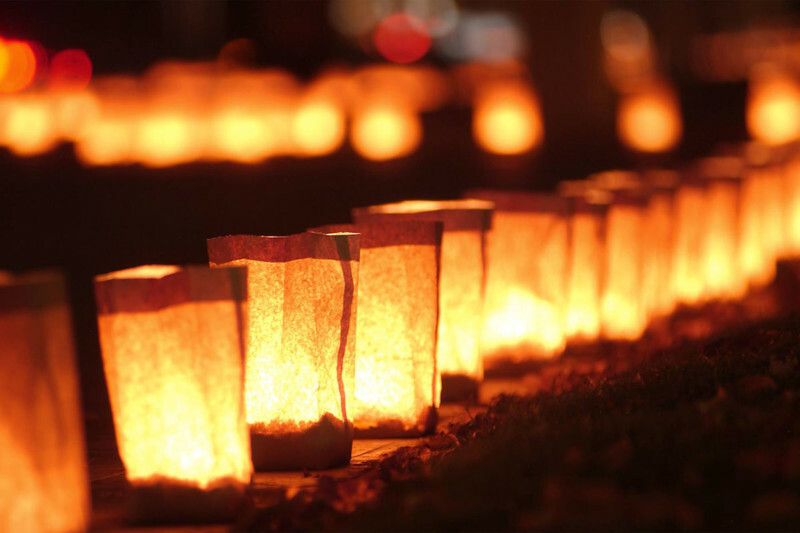 The Lindley Park luminaries take place in conjunction with “Candlefest”, a Holiday celebration that lines the Arboretum with more than 4,000 luminaries. Activities include live music and entertainment, horse and carriage rides, and refreshments. Santa joins the festivities for photos and wish list requests in the gazebo. Admission is collection by way of non-perishable food items for the Greensboro Urban Ministry. Senior Elf-in-Charge Bill Eckard needs your help to pull of this spectacular display! If you would like to help, please email Bill at luminaries(at)lindleyparknc.com, or give him a call at 336-632-1448 … or just show up at at 4:00PM in the Lindley Rec Center parking lot! Come meet your neighbors and spread some holiday cheer; we’ll have hot chocolate, cookies, and Holiday music!